Problem B3: There are 4 small objects located in the x-y plane. One object of mass m is at (d,0). Another object of mass (n1m) is located at (-d,0). 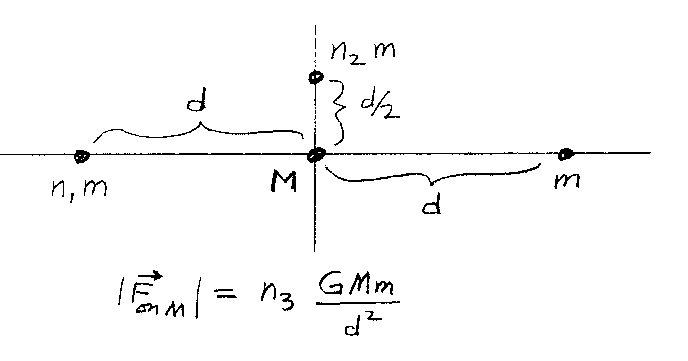 A third object of mass (n2m) is located at (0,d/2) as shown in the figure below. What is the magnitude of the graviational force on the object of mass M placed at the origin? If the magnitude of the force on the object at the origin is F = n3 GMm/d2, what is n3? Note that all the integers are unitless.